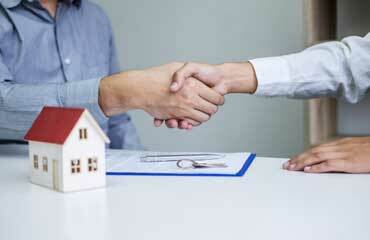 A landlord letter is written by a landlord as part of the routine transactions between the landlord and their tenant. Mostly, the letter is a result of a request by the tenant. The letter can act as a proof of address or a confirmation of the character of the tenant. When a tenant is moving to a new residence, the new landlord will request a reference letter to confirm the reliability of the new tenant. Templates and samples are the best ways to get information on the format and words to use in the letter. You must include details of the tenant such as their names and the name and address of the property and when the tenancy started. The recipient might want further details about the tenant. It’s therefore vital to include your contacts details through which the recipient can’t contact you. In the letter, you can include your phone number or email address. When writing the letter include the date; it’s an important tool that will inform the recipient that the letter has been written recently. The recipient is interested to know the character of the tenant. The tenant’s character details are the most important part of the landlord reference letter. Include information on whether the tenant was faithful in paying their rent, besides their relationship with fellow tenants. If the tenant had pets, you can also include this information in the letter. As you end, the letter it’s important to summarize your relationship with the tenant and whether you recommend them to another landlord. You can also state if you will accept them back if they might want to renew their tenancy. End your letter with polite words. Embrace facts: The landlord reference letter must be based on facts. Avoid exaggerating your relationship with the tenant no matter the feelings you have for the tenant. Any claim you make on the letter should have corresponding evidence. Be true: Throughout the letter honest should be regarded. Make sure your recipient gets an accurate picture of their potential tenant. Express a willingness to assist: In the letter let the recipient know you are available if they need more details on the tenant. Base the letter on facts: If you aren’t aware of the relationship, the tenant had with the other tenants in the property, research to establish facts before writing the letter. Kindly know that [tenant’s name] has been my tenant at [property name and address] since [tenancy period]. During the entire time of their tenancy, they always paid their rent in time besides coexisting with fellow tenants. Their pets were not a nuisance to the other tenants. Their unit has always been tidy. In case you want more details about [tenants name], get in touch with me via [email address/phone number]. I write this landlord reference letter on behalf of Humphrey Kist. Mr. Kist was my tenant at Upways Apartments 2120 Elm Street from July 2, 2016, to January 31, 2019. Mr. Kist lived with his family of four children and one wife. In the entire period of the tenancy, he has been late on payment of rent only once; a period he had a family emergency. In all the other months his rent was paid on time before the 5th day of the month. Mr. Kist kept his clean at all times. Every time the house required maintenance, he always made me aware in advance. His neighbors described him as a cool and respectful person. I have received no complaints about this family for any tenant. At the time he left the apartment his house was in perfect condition, we only needed to repaint before another tenant came in. If Mr. Kist came back to the apartment, I would welcome him back. Let me know if you might need further information about the tenant. You can contact me through 555- 543-4353.